The new Moto 360 smart watches streamline your mobile life, giving you more time to do the things you love. With these smart watches, you can stay connected and up to date by getting messages, news, weather and more without constantly having to check your phone. You can stay fit by tracking your steps, calories, and heart rate right from your wrist. With multiple variants and a classic round design, you can select the color, size and style that fits you best. Moto 360 is now available in Amazon, Flipkart, Snapdeal and eBay for sale in India. Moto 360 2nd generation is now up for sale. Moto 360 was introduced exclusively at Flipkart previously. Now it is available in Amazon also for sale. Moto 360 is now available in Flipkart and the price starts from Rs.13,999. Check the price of different Moto 360 smartwatches here. Motorola Moto 360 2nd Gen (42 mm) for Men Smartwatch Price - Rs.19,999. Offer page - here. Available in Black and Brown. Motorola Moto 360 2nd Gen (42 mm) for Women Smartwatch Price - Rs.19,999. Offer page - here. Available in Gold and Silver. As on today, Moto 360 is not available in Snapdeal. Check the offer page here. Continue checking the product page. Check available moto 360 smartwatches in eBay with price here. Price starts from Rs.13,600. 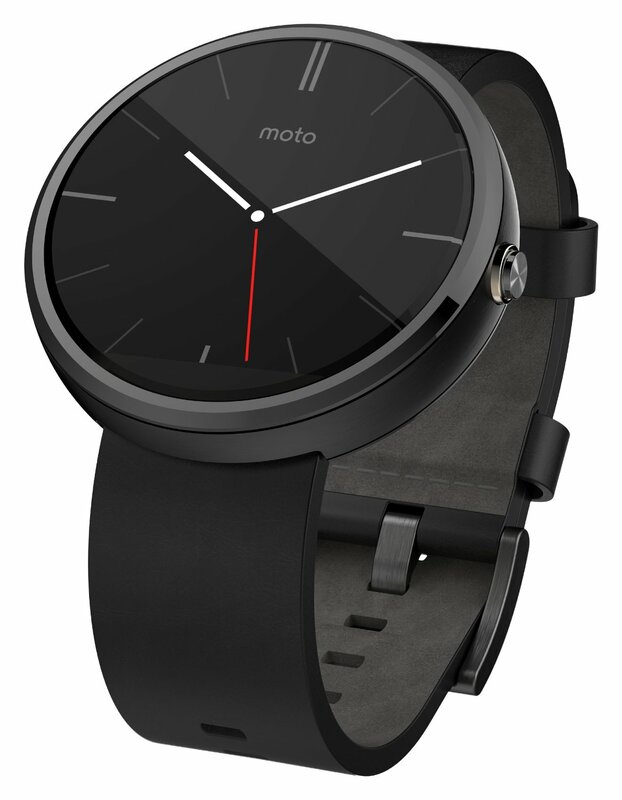 Moto 360 is a latest smart watch powered by Android Wear. It is comfortable, familiar, and crafted with the finest materials. Moto 360 helps you up to date without taking you away from the moment. With a glance at your wrist, you can check updates or just speak to get the information you need. This watch helps you to know more than just time. Moto 360 Water resistant in up to 1 meter of fresh water is up to 30 minutes. Exposure of leather band of Moto 360 watch to water is not recommended. Battery life claims are approximate only and depends on an average user profile that includes both usage and standby. Battery performance fo the watch depends on the network configuration, operating temperature, signal strength, features selected, and voice, data and other applications usage patterns.